New Zealanders George Hood and John Moncrieff disappeared during a ‘gallant if somewhat ill-organised attempt’ to complete the first flight across the Tasman Sea. They took off from Richmond, Sydney, in a single-engined Ryan monoplane, the Aotearoa, in the early hours of 10 January. The 2335-km flight to Trentham, just north of Wellington, was expected to take 14 hours. This attempt at aviation history captured the public’s attention. 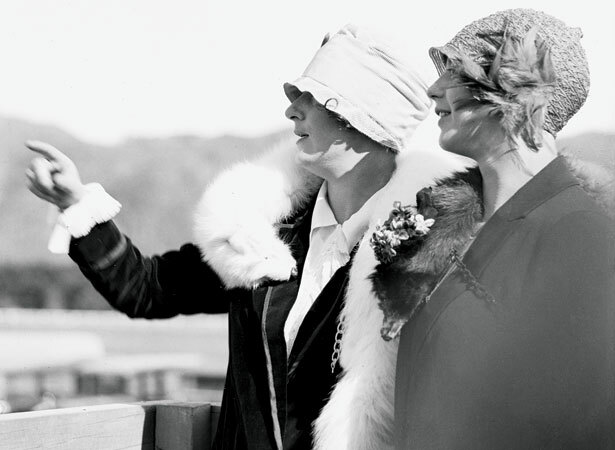 By late afternoon, 10,000 people had joined the aviators’ wives, Laura Hood and Dorothy Moncrieff, at Trentham Racecourse to welcome them. They waited in vain. Radio signals were picked up for 12 hours, but then contact was lost. The aviators were never seen again. Later that year Australian Charles Kingsford Smith and his three-man crew achieved what Hood and Moncrieff had died attempting when they landed the Southern Cross, a Fokker tri-motor, at Wigram, Christchurch (see 11 September). Guy Menzies completed the first Tasman crossing in a single-engined plane in 1931 (see 7 January). We have 9 biographies, 1 article, related to Pioneer aviators vanish over the Tasman.